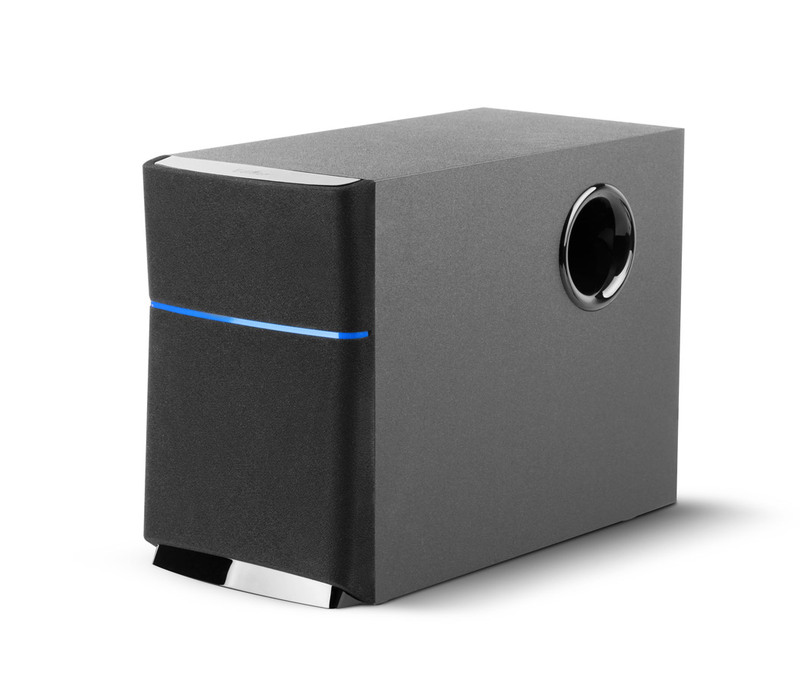 Forget boring, boxy speakers. The uniquely designed M3200 speaker offers a refreshing look that will dazzle your eyes. 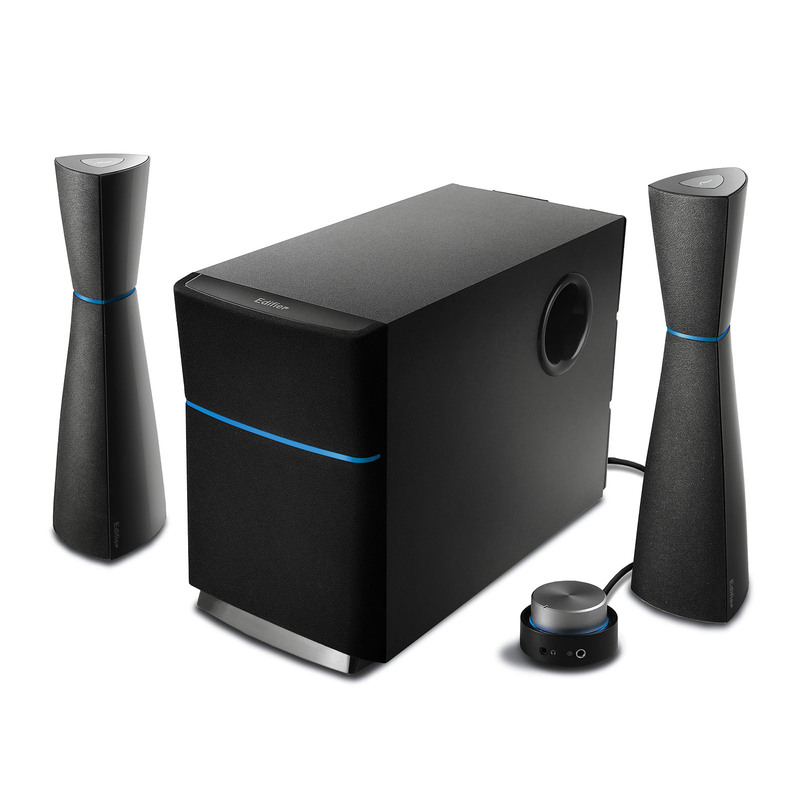 Two hourglass shaped satellites accompany a curvy subwoofer to bring you exceptional sound. Plug into your computer for a crisp look paired with luxurious sound. Blue never looked so good. Edifiers’ M3200 unique shape is highlighted with a cool blue halo. Blue highlights circle the thinnest point of the satellites and subwoofer. The glowing circle only on the remote expresses that it is ready to blast sound. This 2.1 speaker system artfully blends design aesthetics with reliable functionality, perfectly suited for the style-conscious audiophiles. 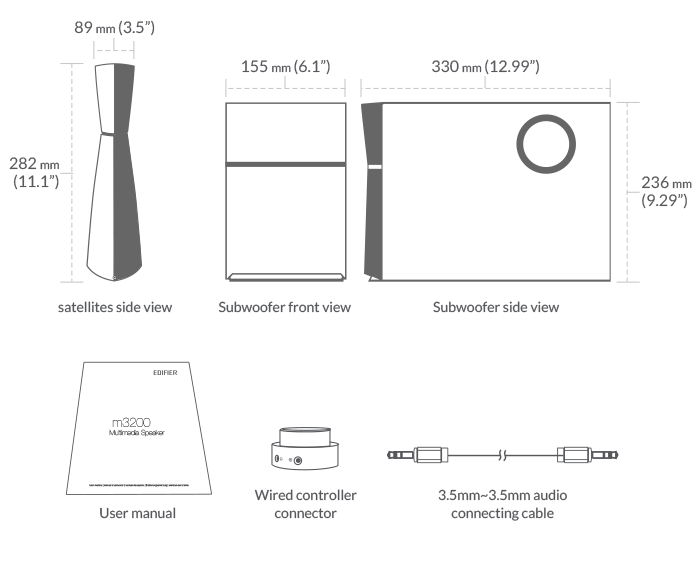 The two hourglass-shaped satellites are expertly tuned to provide pristine audio. Two different size drivers in each satellite provide a combined 18 watts of power. Coated in a glossy finish, the M3200 will make your desktop look pristine. Totalling 34 watts of power, Edifier’s M3200 is designed to take your listening experience above and beyond. Featuring a wooden enclosed subwoofer with a 5-½ inch driver, your sound will have a richer, deeper bass. 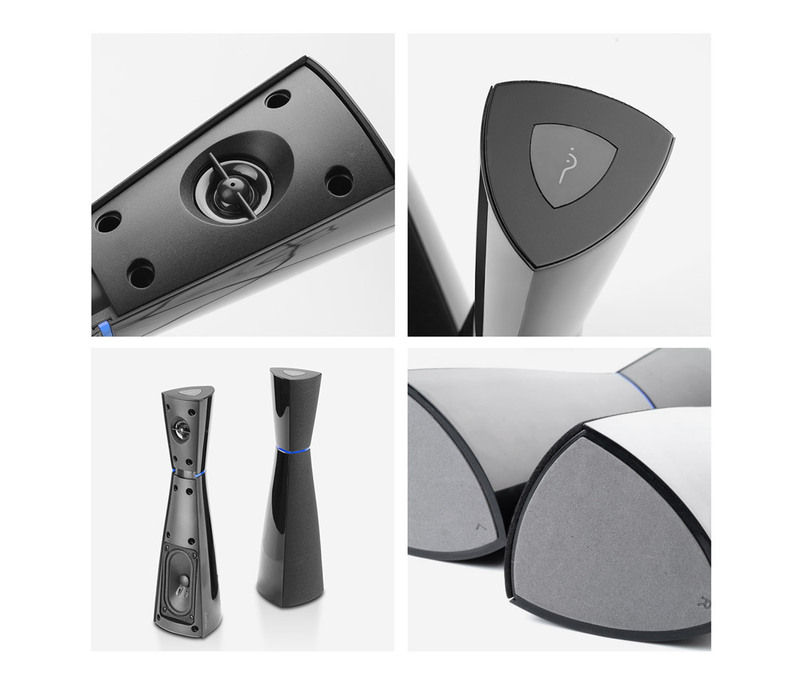 While earning serious style points, Edifier’s M3200 is designed with brilliant functionality. A wired remote control with an aluminum wheel offers a smooth operating experience and lets you effortlessly adjust master volume. The M3200’s remote control features a subtle blue halo as the power indicator. So you’ll know exactly when this 2.1 speaker system is switched on and ready to pump out some serious beats. A headphone output and a 3.5mm auxiliary input port are also conveniently located on the remote control. 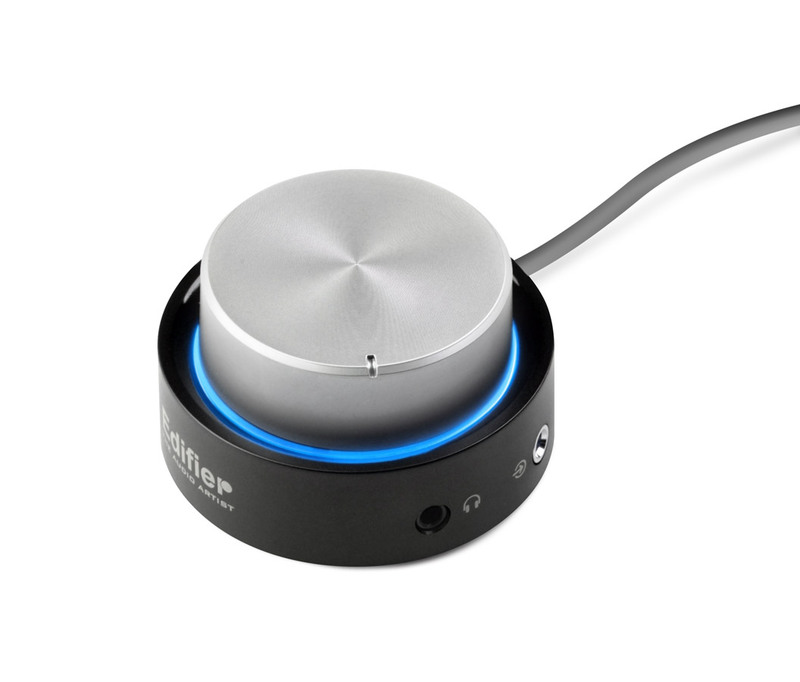 With the 3.5mm auxiliary input on the remote control and on the back of the subwoofer, you no longer have to crawl under the desk to plug in your audio sources. 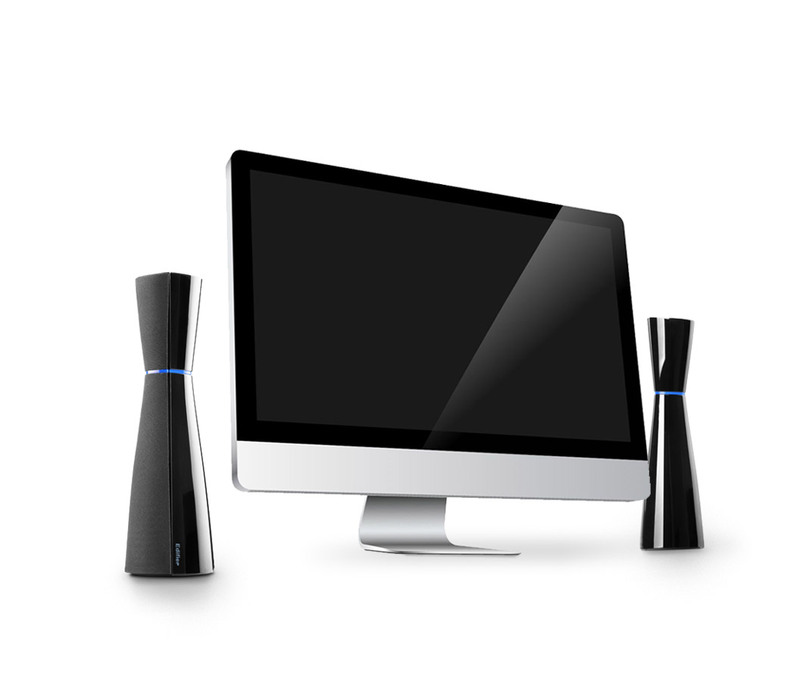 Versatile and powerful, this 2.1 speaker system can be connected to an array of audio hosts.